Written By: Jane G. Goldberg, Ph.D.
Not only do many store bought almond milks contain only about 2% almonds but many are harboring a scary ingredient. Is your almond milk causing inflammation and disease? When I saw my daughter drinking almond milk the other day, and sharing it with her friends who were happily slurping it down, I realized everybody these days is drinking almond milk. As a beverage, almond milk has shown the greatest growth spurt of all the alternative milk products. It expanded by 40 percent in dollar sales between 2013 and 2014, according to a report from Packaged Foods, a Rockville, Md.-based market research firm that tracks dairy and nondairy beverage sales. Within the next three years, it is projected to grow from 5 percent of the current market to 19 percent. I understand why. It’s clean and refreshing looking, with a nice white-ish color, and flows smoothly, like velvet would if velvet were liquid. It reminds us of the cow’s milk many of us grew up drinking. In fact, it’s used frequently as a substitute for cows’ milk, and, as well, as an alternative to all the other plant-based milks: coconut milk, soy milk, rice milk, cashew milk, hemp milk, even oatmeal milk. We liberally pour it in coffee, smoothies, golden milk, and drink it contentedly, too, as a stand-alone drink. As well as being nostalgic for the older crowd, like myself, it happens to also taste delicious. Even the commercial, cheaper store-bought variety is delicious. Why shouldn’t it be? It’s mostly sugar water. Everyone loves downing a good blast of sugar. But how many people does it take to screw in a light bulb and be able to actually count the almonds that almond milk is made from? Well, that’s the question of a few recent lawsuits. It leads us to wonder if eating natural isn’t always good for us. Or, maybe the more legitimate question is whether what is touted as “natural” is sometimes not even close to being “natural.” Two commercial sellers of almond milk, Blue Diamond and WhiteWave Foods, have been accused of false advertising and deceptive marketing. 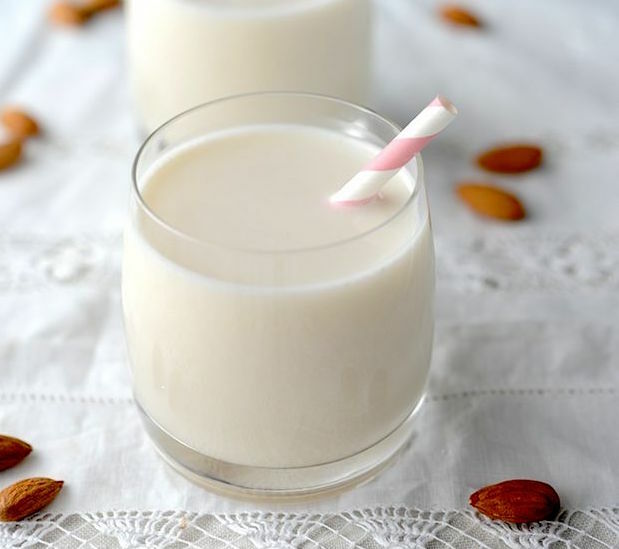 The lawsuits, one filed in San Jose and two others in New York, contend that their almond milk brands—Almond Breeze and Silk—falsely claim to be “all natural,” or made “mainly from almonds.” The lawsuit alleges that contrary to packaging claims, almond milks “are not primarily made from almonds;” rather the bulk of the products are made from additives, sweeteners and thickening agents, such as locust bean gum, xanthan gum and carrageenan. It seems that almond milk often contains only 2 percent almonds. False advertising is unfair to the consumer. But, the legal issue is only the beginning of the problems with almond milk. More importantly is the health issue. As I covered in my previous article on GMI and on my own newsletter, MusingsFrom20thStreet.com, almonds, even those labeled as “organic,” are almost never organic. According to a regulation passed in 2007, all almonds grown in this country must go through a process of “mandatory sterilization,” otherwise known as pasteurization or cooking. Allowable methods include oil roasting, dry roasting, blanching, steam processing, irradiation, and, finally, but most scarily of all, the application of propylene oxide (PPO). PPO is classified by the Environmental Protection Agency as a class B2 carcinogen. Thus, there is the likelihood that when you are eating almonds, even those labeled as raw and organic, if they have been grown in the U.S., you are, as well as consuming a nut that has loads of healthy benefits, also ingesting a known cancer-producing substance. Thankfully, there is one exemption to the law mandating that all U.S. grown almonds be treated. The sole exception is if the almond farmer has a ROADSIDE STAND. The farm I have been using reliably for several years now is Bremner Farms. But, the problem with drinking almonds is even worse than eating almonds. To their credit, both almond milk companies being sued have decided to remove one of the additives—carrageenan—from their almond milk products. Why? Because the research on its negative effects on the body is unassailable. Carrageenan is described as being a derivative from red edible seaweed. I love seaweed. I eat it with abandon (kelp, nori, haziki) and I don’t care whether its color is green, black or red. Many so-called (and labeled) organic products contain carrageenan, including smoothies, shakes, chocolate, soy milk, frozen dinners, soups, infant formula, deli meats, pudding, and most commercial dairy products including ice cream, whipped cream, sour cream and yogurt. It is also found in room air fresheners, cosmetics, and pet foods. It is almost downright ubiquitous, whose main purpose as an additive is to keep ingredients from separating. Then, what’s the problem (other than that a good shake would accomplish the same lack of separation of ingredients)? The problem only begins with carrageenan having no nutritional value. It is also indigestible, and is highly destructive to the digestive system, and researchers have known this for over 50 years. In short, carrageenan causes inflammation. In the past, drug researchers used carrageenan to actually cause inflammation in order to test the anti-inflammatory properties of new drugs. As far back as the 1960s, researchers started linking carrageenan to gastrointestinal disease in lab animals, including ulcerative colitis, intestinal lesions, and colon cancer. Since then researchers have conducted thousands of studies supporting the notion that inflammation is a predictable effect of exposure to carrageenan. Carrageenan specifically triggers an immune response within the digestive tract, and this reaction is the same as when there has been an invasion by pathogenic microorganisms. (Salmonella and E. coli affect the digestive tract in the same way as carrageenan, and those of us who have suffered from an invasion of those pathogens know how awful we feel when they become too populous in our digestive tract.) Researcher Joanne Tobacman, MD, associate professor of clinical medicine at the University of Illinois School of Medicine at Chicago, reports that when laboratory mice are exposed to low concentrations of carrageenan for 18 days, they develop “profound” glucose intolerance and impaired insulin action, both of which can lead to diabetes. She concludes that continued, long-term consumption of products containing carrageenan (including almond milk) can lead to various serious and life-threatening diseases. The question of whether carrageenan specifically causes cancer is a little complicated. There are two kinds of carrageenan: degraded and undegraded. Only the undegraded form is approved for use in food. Most of the animal research has used degraded carrageenan in their studies. While we can’t say that carrageenan is a known carcinogen, we do know that it causes inflammation stimulating increased intestinal permeability (leaky gut), intestinal irritation, and colon ulcers. 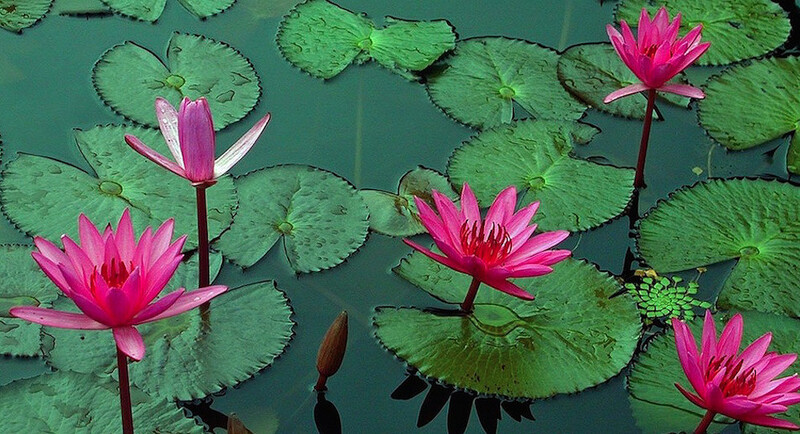 And this effect has been shown in both animal and human studies. And, we know, as well, that chronic inflammation is a root cause of heart disease, Alzheimer’s and Parkinson’s diseases, as well as cancer. The Cornucopia Institute, a watchdog for organic products, has petitioned the FDA to remove carrageenan altogether from food products. The Joint Expert Committee (Food and Agriculture Organization of the UN and the WHO) on Food Additives has recommended that carrageenan be excluded from infant formula and that current intake of carrageenan in the diet be re-evaluated. This is the best nut milk with which to throw in tons of supplemental nutrients; the almonds are alkaline, thus having a great effect on the acid/alkaline balance in the body. It’s lso high in calcium. The bee pollen has tons of enzymes and is one of the healthiest foods known to man. Gives a good burst of energy. The egg makes the drink a high protein drink. Sprout the almonds by letting them soak for 5 hours. Then blend in fresh water and strain out meal. Add other ingredients and blend. Give yourself a real treat by saving the almond meal and giving yourself a face scrub with it later. This entry was posted in Uncategorized on February 22, 2016 by The Health Coach.